Amara Organix believes in safe skin care and hence strives to deliver natural, organic and handmade concoction of Skin friendly products. Shelf Life: 6 months from the date of manufacturing. Ingredients: Potassium hydroxide, jojoba oil, lavender oil, coconut oil, distilled water, green apple extracts. 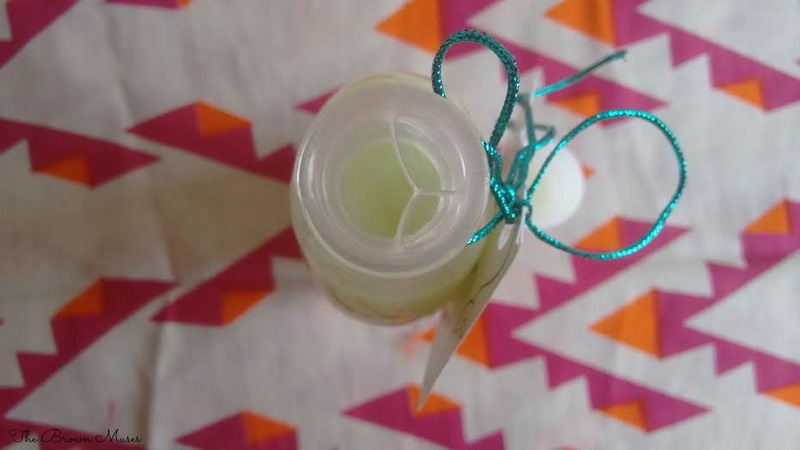 Packaging: The body wash comes in a transparent plastic bottle with a white coloured flip top cap which allows one control over the quantity of the product to be dispersed. The full ingredients list and other details like price, shelf life and date of mfg are missing from the labels, I hope the brand will take heed of this. 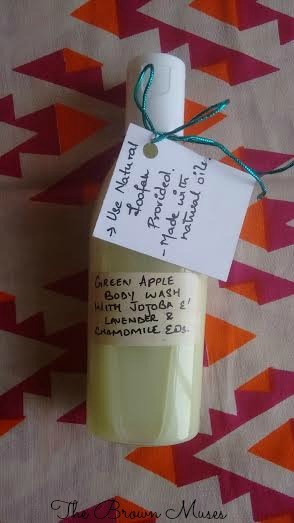 AO Green Apple Body Wash is mint green in colour and smells exactly like juicy green apples and has a thin consistency. I use a decent amount of product on a wet loofah and gently massage it across my body. 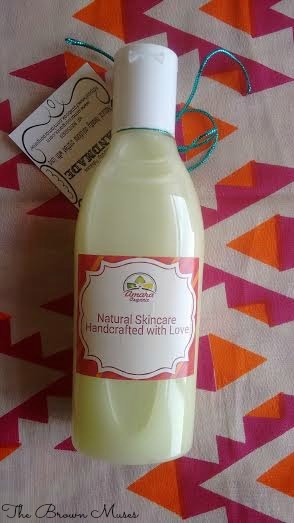 The body wash produces decent lather and cleans and softens the skin gently and effectively without dehydrating it. The addition of coconut oil and jojoba oil make sure the skin doesn't get dry and is nourished thoroughly. The body wash didn't irritate my skin and instead my skin felt fresh post use. The body wash has a lovely and refreshing aroma of juicy green apples which doesn't bother at all. The aroma is light and fades off as soon as the body wash is rinsed which I don't mind as too much fragrance could irritate the skin. Overall, it's a good body wash which softens and cleans the skin and doesn't make the skin dry post use! The product is made using natural ingredients however a patch test is still recommended. Has a lovely aroma of juicy green apples. Cleans and nourishes the skin.